This is a permanent exhibition which takes place at all four AK spaces and presents a collection of sculptures created between 1995 and 2014. Eleni Kolaitou displays her sculptural compositions inspired by the human figure, as well as those of birds, animals and insects, using bronze and gold for her jewelry collection. 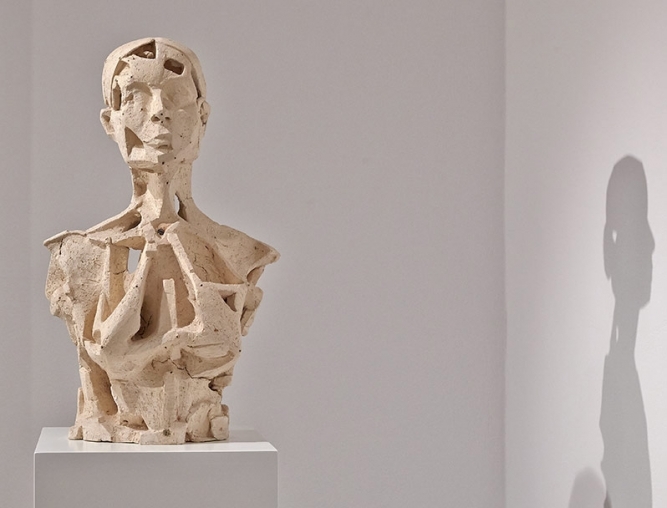 The exhibition also includes a series of purely formalist clay pieces. In her bronze works, the artist explores how human and animal shapes embody the essence of morphology in nature, thus revealing the deeper meaning of their fundamental form. 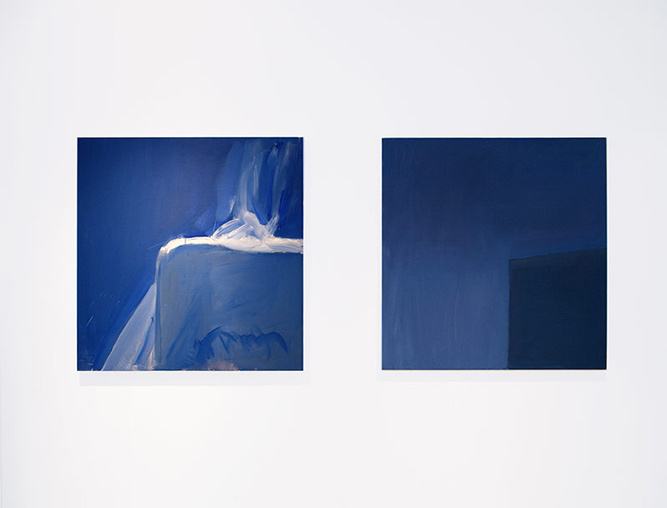 This exhibition offers a series of oil paintings and digital art based on the abstract morphology of the Cycladic landscape and architecture. 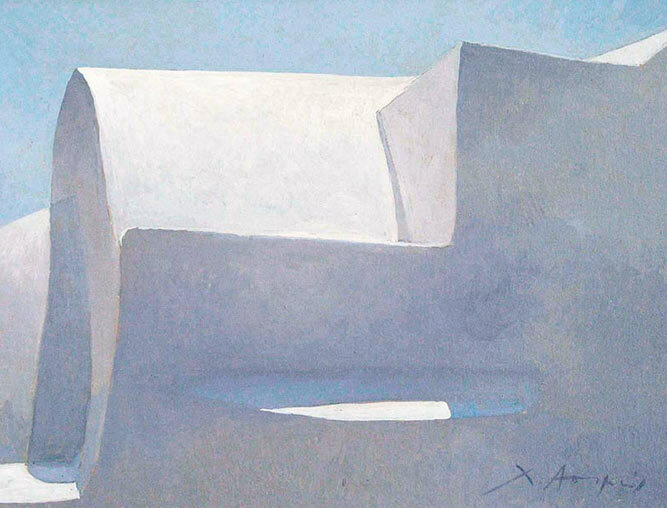 Katonas Asimis’ semi-abstract art is based on the primeval forms which compose the Cycladic architecture. Forms and perspectives which are traced in the Santorinean landscape are pared down to their most elemental components, elucidating the inherent structure, language and spirit of their morphology. The AK Art galleries experience. 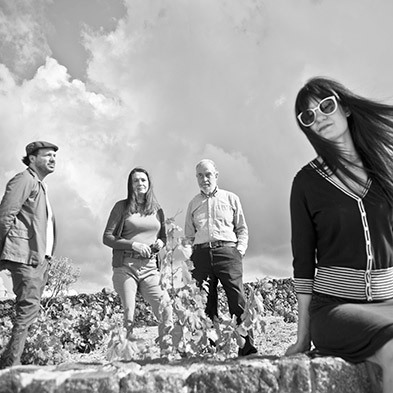 The AK experience is a sine qua non for aesthetic, mental and spiritual exultation. The uniqueness of outstanding contemporary artistic creation imbued with the finest Cycladic aesthetic. Presenting the work of some of the most significant contemporary Greek artists in four discrete spaces, the AK experience investigates the boundaries between man, nature, light, art and architecture, offering a unique proposal in the plastic arts created in Greece. 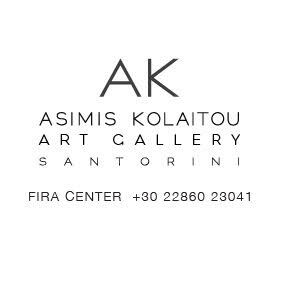 From the very first art gallery ever established in Santorini in 1980: the AK gallery in Fira, to the spectacular AK Art Foundation and the newest AK gallery in Oia, all AK galleries demonstrate exquisite fine art at its finest. 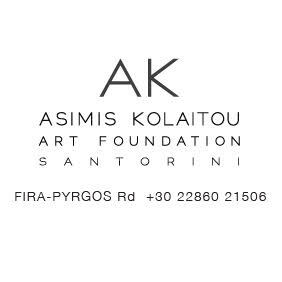 At the epicenter of all, AK Asimis Kolaitou Art Foundation is the major art exhibition space of the island. It consists of indoor art exhibition spaces as well as outdoor spaces for various performance art events. 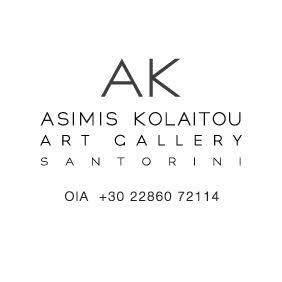 A labour of love for the top Santorinean artists, Christophoros Asimis, Eleni Kolaitou and Katonas Asimis, the galleries stand out as some of the most significant art spaces of Greece exhibiting works of art internationally acclaimed as finest samples of greek contemporary art. The outcome of an exclusive design process, AK galleries meet the most stringent aesthetic criteria, both for the artists they represent and the cultural experience they provide.